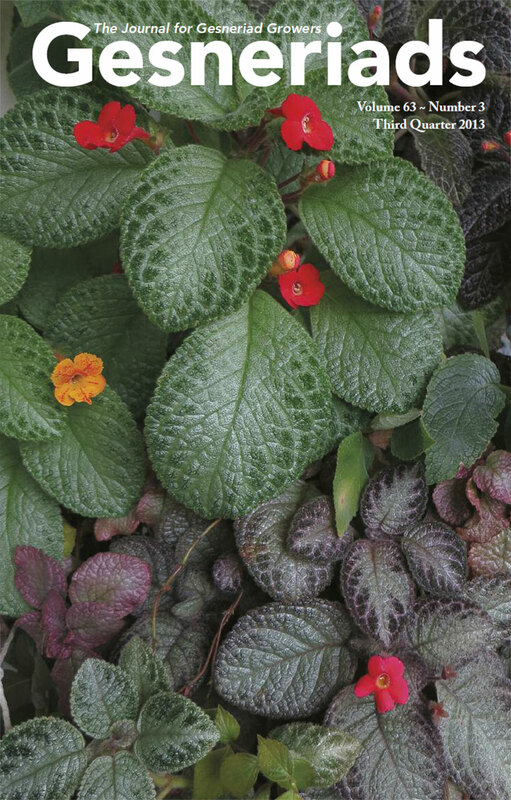 Gesneriads are among the easiest plants to propagate. This is one reason for their immense popularity. From even the smallest cutting, it is possible to grow another plant. Gesneriads are easily shared among growers. Growing gesneriads from seed is simple and does not require fancy or expensive equipment. Many new or rare species of gesneriads would be hard to obtain, were it not for the availability of seed. One of the best sources of seed for Gesneriad Society members is our Seed Fund. Most hybrids will not produce true from seed. Hybrids grown from seed should not be labeled as if they were the same as the parent plant. There are many seed-starting mixes and most growers have their favorite. One of the most popular is a standard soilless mix. 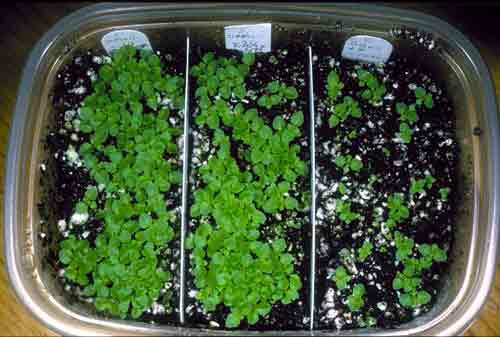 Other growers used a combination of vermiculite and perlite. Still others spread a thin layer of milled sphagnum moss on the surface of the mix. You may want to try several methods to find out which works best for you. Gesneriad seed is very fine. The seed should be sprinkled on the surface of the moistened growing medium. Be sure to moisten the mix before you sprinkle the seed. Some growers water from the bottom after they spread the seed. Whatever method you choose, be careful not to wash the fine, dust-like seed away. Next, it is very important to label the pot. Gesneriad seedlings look very similar and you do not want to lose the name for your new plants. The pot containing the seeds should be enclosed to preserve the humidity. This can be done by enclosing the pot in a plastic bag, or by placing the pot in a clear container. Place the enclosed pot in a bright area, away from drafts and direct sunlight. Most gesneriad seeds will germinate in a few days to a few weeks. Some may take several months. Be patient and do not give up on your seeds too soon. Here’s a more detailed paper on growing from seed. Once the seedlings have developed their first set of true leaves, they should gradually be acclimated to growing in the open. Do this slowly over several days. Open the container a tiny bit, opening it more each day. Once the seedlings become large enough to handle, they may be transplanted to individual pots and treated as mature plants. The most common method for propagating gesneriads is from cuttings. Almost any gesneriad can be propagated from stem or leaf cuttings. With this method there are many “favorite” growing mixes. Many growers use a soilless mix, the same mix in which the established plants will be growing. Other growers use vermiculite, perlite, sphagnum moss, or a combination of these ingredients. Again, experimentation is the key to finding which medium works for you. Stem cuttings are very easy to root. 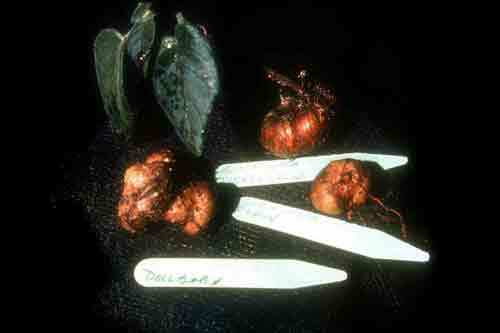 To do so, take a cutting with at least three leaf nodes, although many gesneriads will root from smaller cuttings. Strip the leaves from the lower portion of the stem and place this end in the rooting mix. 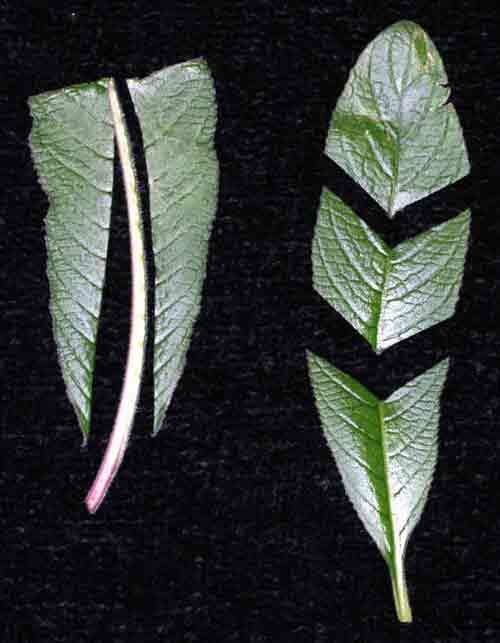 Larger cuttings may be divided into smaller pieces. It is not necessary to use a rooting hormone with most gesneriads. Moisten the mix, label the pot, and enclose it to maintain high humidity. Some cuttings will begin rooting in just a few days, while others may take several weeks. When the cutting feels secure in the mix when lightly tugged, acclimate it to life in the open and treat it as a mature plant. Leaf cuttings can also be used to propagate many gesneriads. One way of doing this is to stick the leaf petiole in the rooting mix. The baby plants will develop at the base of the stem. This is the method most commonly used to propagate Saintpaulias (African violets.) Another method, often used for propping Streptocarpus (Cape Primroses) is to cut the leaf along both sides of the mid-vein. The two leaf halves are placed cut edge down in the rooting mix. The plantlets will develop along the cut edge. Leaves may also be cut into wedges across the mid-vein, and the cut edges are placed on the growing mix. This is a popular method for growing many varieties of Nautilocalyx. Rhizomatous gesneriads provided an additional method of propagation. 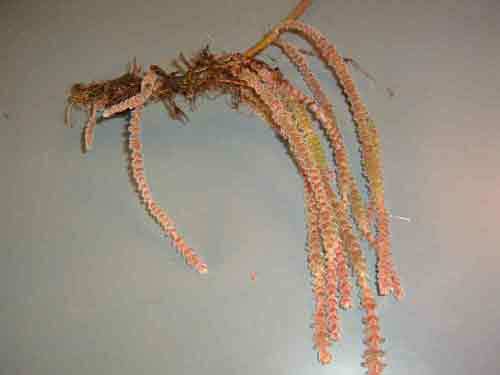 Besides stem cuttings as described above, they may also be propagated by rhizome division. The rhizomes can be divided into sections and each section will produce a plant. Additionally, each individual scale on a rhizome can be used to produce a plant. Sprinkle the individual scales on the surface of the growing mix as you would with seed. The scales will soon develop tiny plantlets. Propagules are stringy rhizomes that form along the stems of many rhizomatous gesneriads. These, too, can be divided just like the rhizomes. 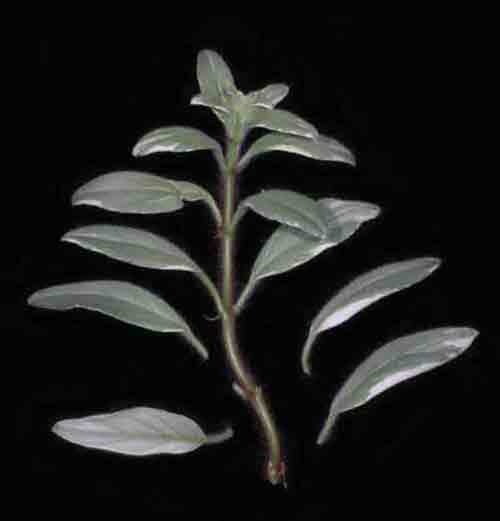 Sinningias, including the widely popular mini-sinningias, can be propagated by crown cuttings. The crown is removed from the tuber. The lower leaves are removed and the cutting is placed in the rooting mix. Plants that form offsets, or stolons, such as primulinas and episcias, can be propagated by removing the offsets or stolons and rooting them in much the same manner. Gesneriads can be as much fun to propagate as they are to grow. Don’t be afraid to try new methods with different plants. We think you will be amazed at how easy growing new plants can be!